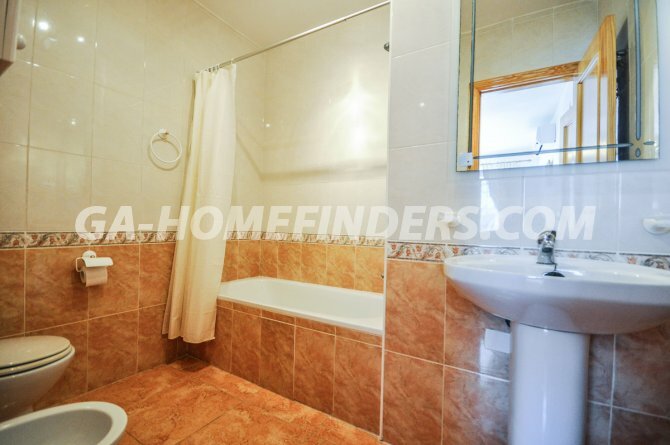 Town house with 3 bedrooms and 3 bathrooms in sought after position on a wide road with ample parking. 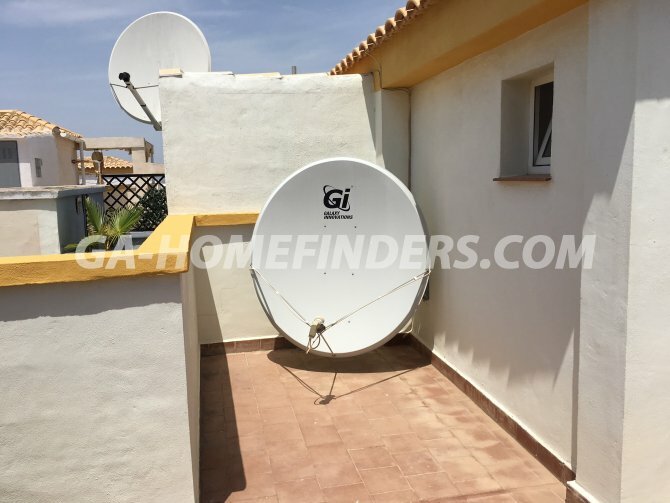 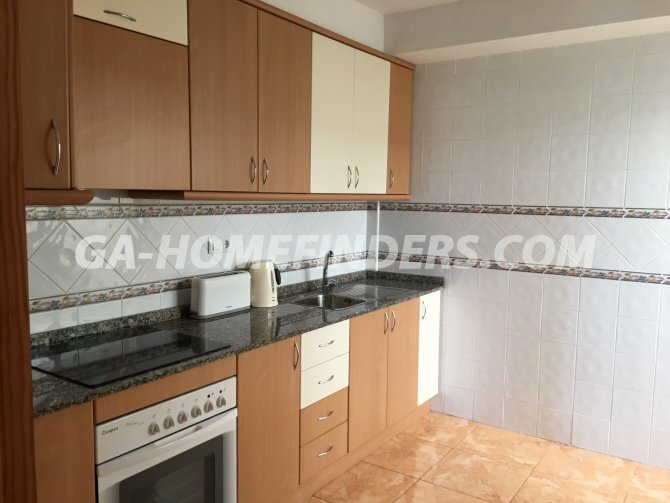 Fully furnished; large satellite dish (not rented), kitchen appliances, air conditioning (hot and cold) in main rooms, built in wardrobes, blinds on all windows & security grills to the front. Solarium with views (panorama of the Mediterranean, Alicante, mountains and airport - see planes but not hear them), communal swimming pool, tennis courts and communal gardens. 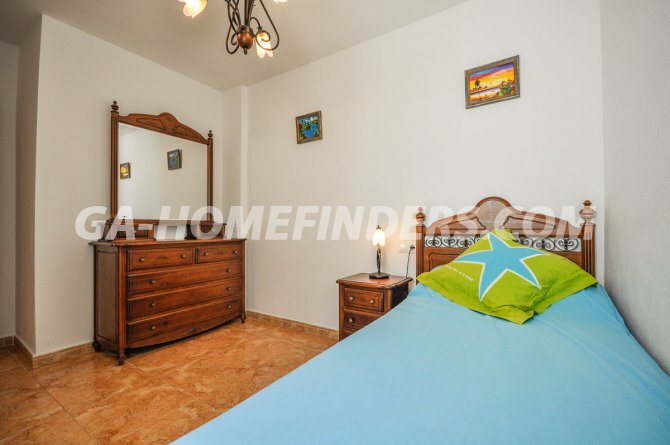 Walking distance to Carabassí beach with all it's facilities, shops, restaurants, bars, health centre, children's play area, local Thursday market and tourist train stop. 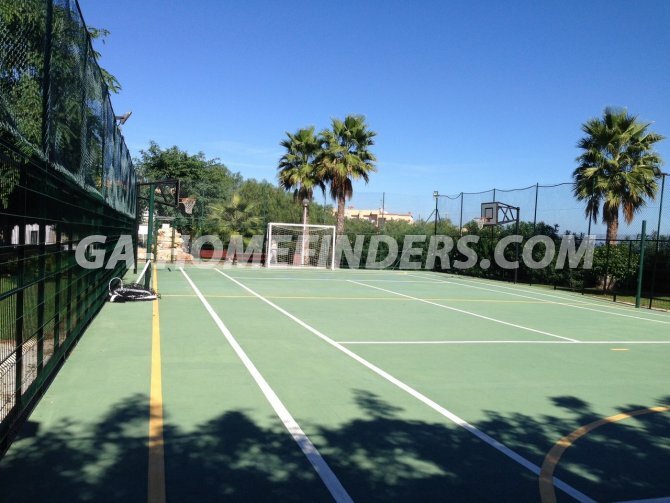 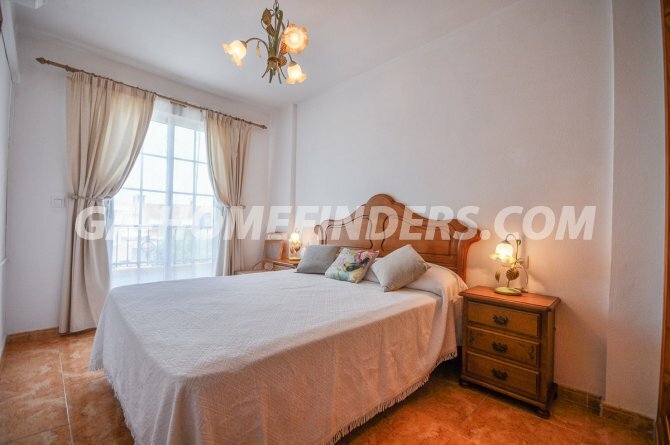 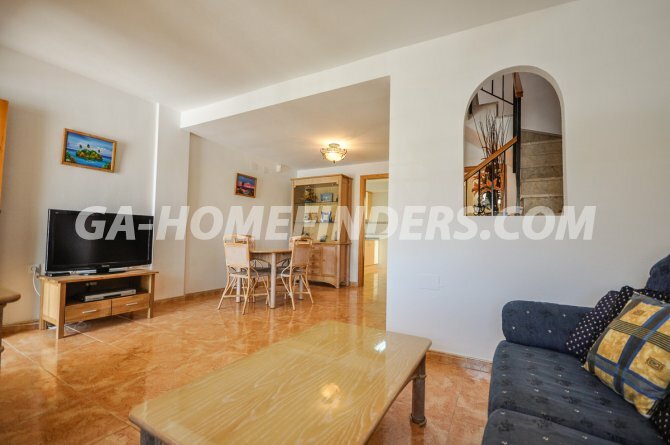 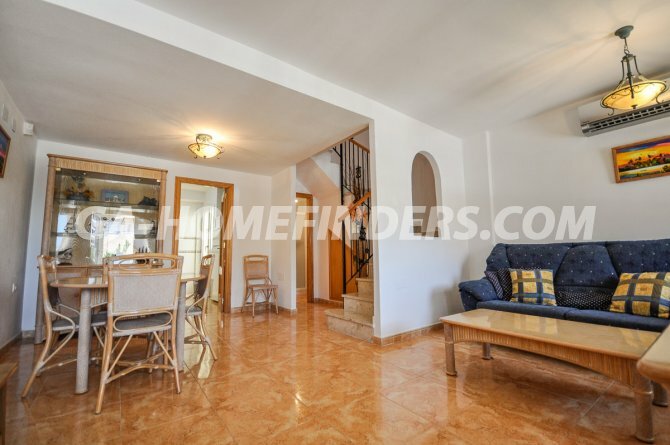 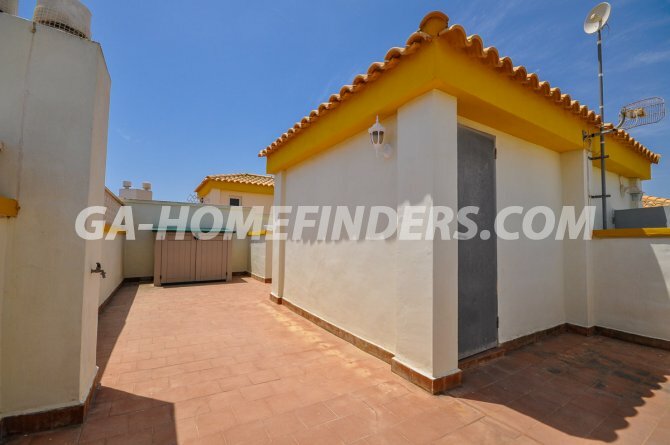 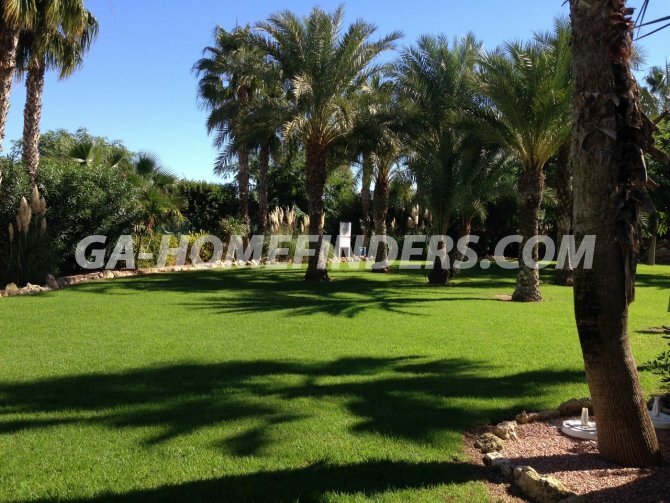 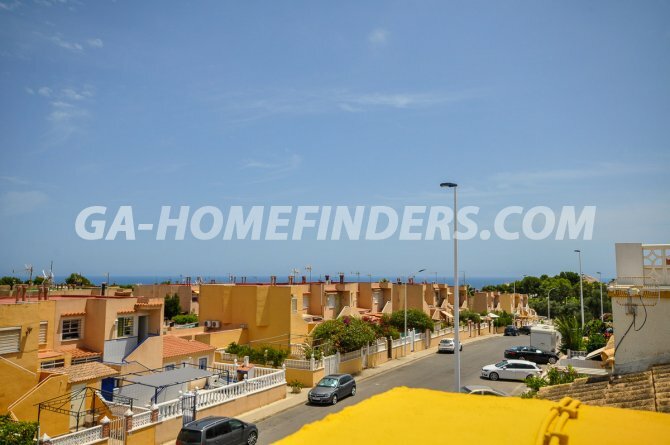 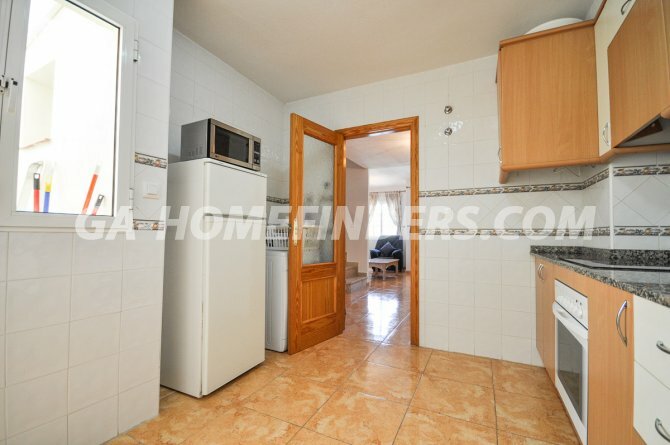 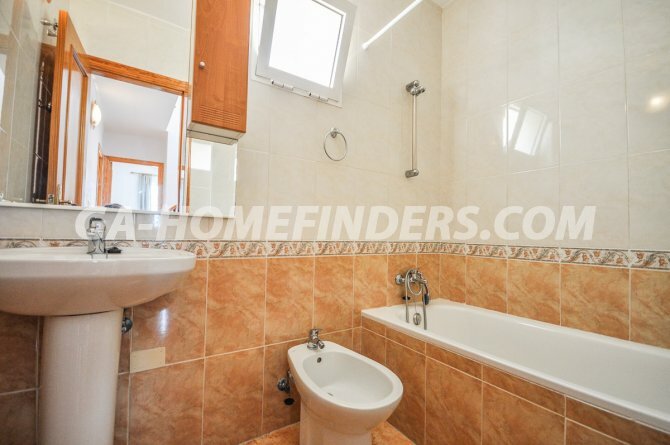 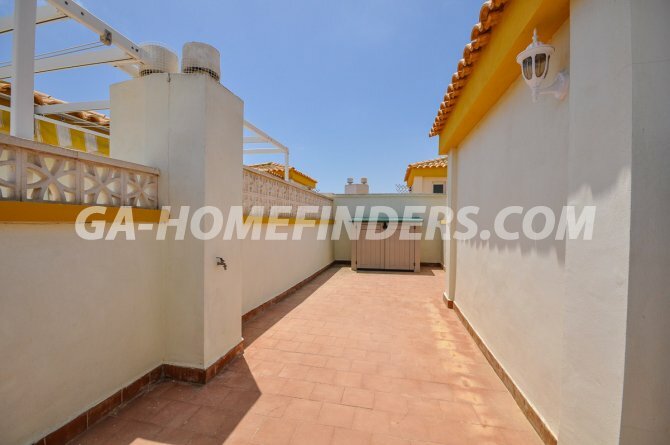 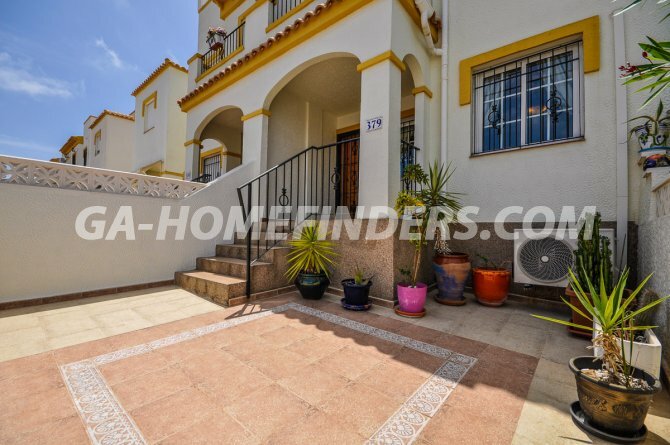 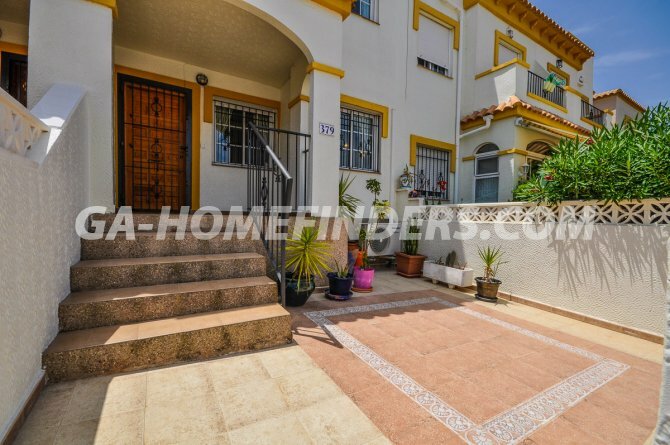 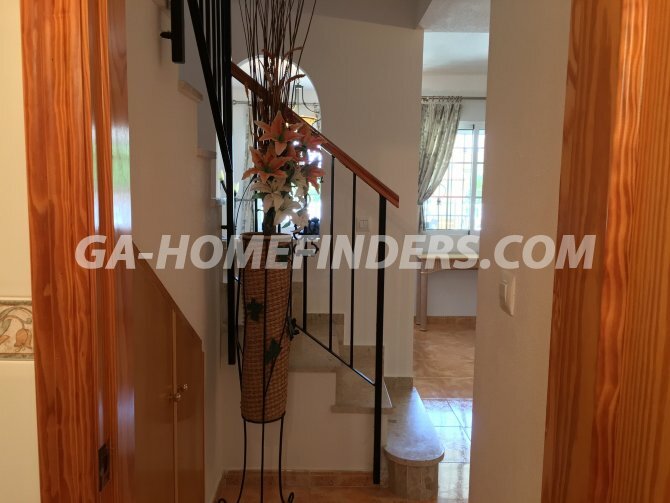 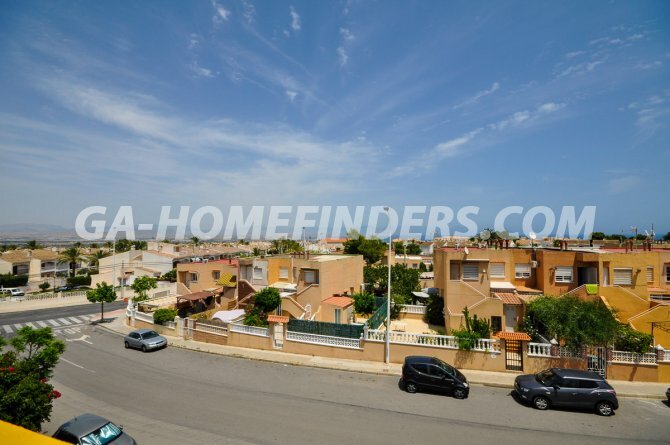 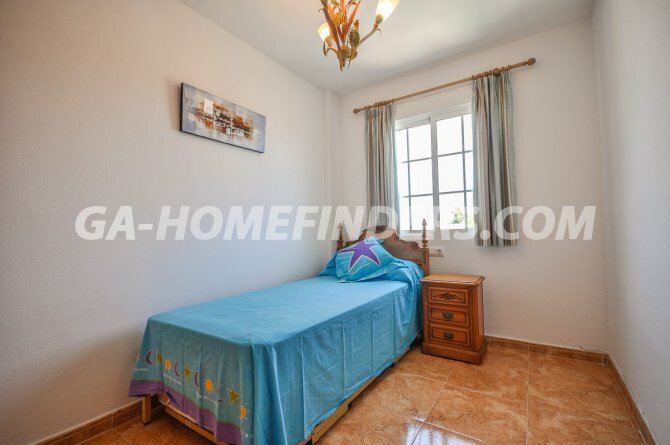 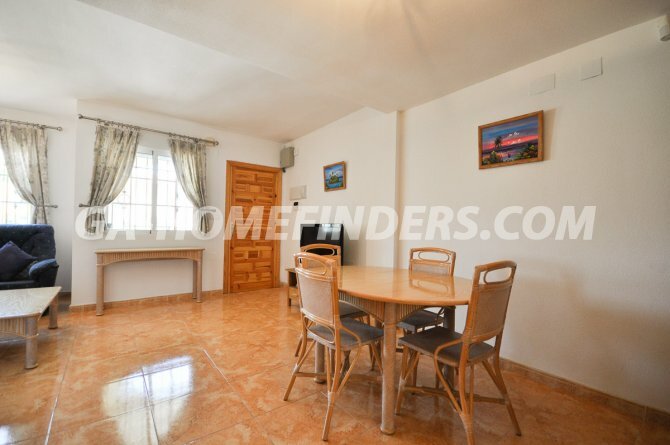 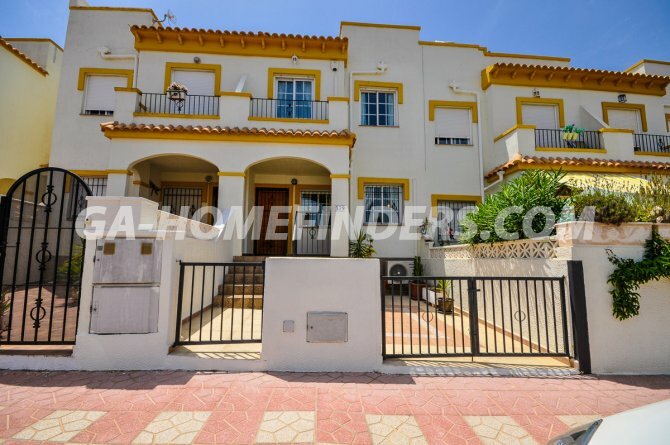 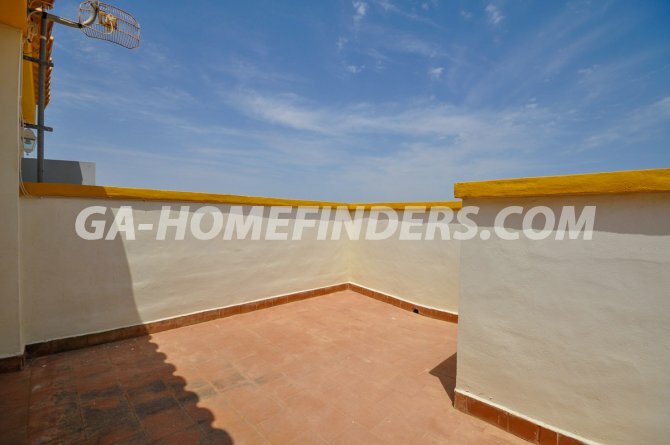 Great transport links; close to bus stop for Alicante and Santa Pola and just 10 mins drive from Alicante airport. 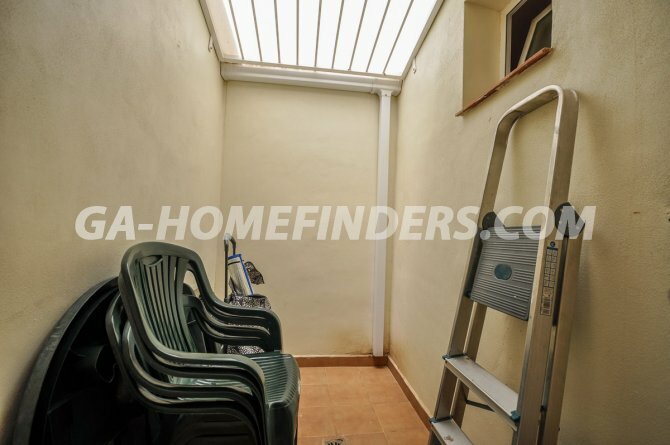 Potential to extend the solarium for additional bedroom/en-suite.